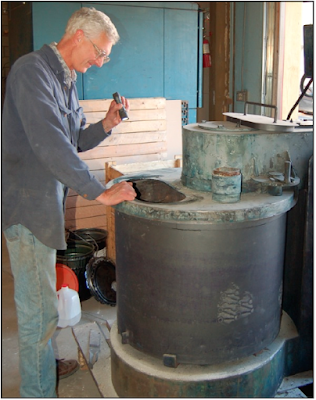 Woodstock Soapstone Co. Blog: We’re making our own furnace cement! 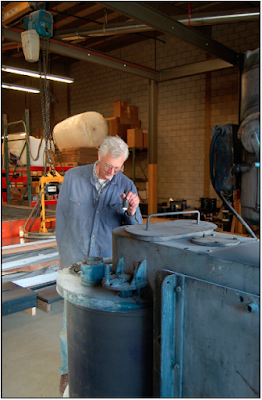 Our cement has terrific adhesion to cast iron, steel, soapstone, and gasket, can be applied in very thin beads, as well as thick strands, won’t slump or run, and is a great performer at high temperatures! Below, engineer Ken Blum inspects a batch of cement as it turns in our new old mixer!